Discussion in 'Juventus' started by Dante, Jun 6, 2018. UEFA have increased the amount to be distributed to Champions League participants (group-stage onwards) from €1.32 billion to €1.95 billion. That's an increase of 47%. soji22 and phat repped this. Group Stage: €2.7 million for a win & €900,000 for a draw (was €1.5m and €500k). Qualifying to Round of 16: €9.5 million (it was €6 million). 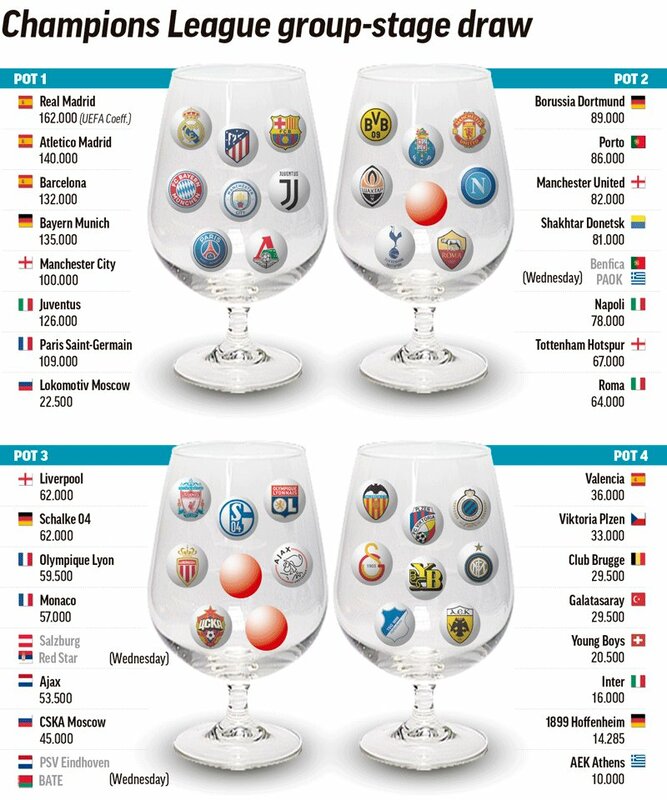 Quarter-Finals: €10.5 million (was €6.5 million). Semi-Final: €12 million (it was €7.5 million). Final: €15 million and €19 million (it was €11 million and €15.5 million). OMG, imagine if we sign Ronaldo and win the UCL this season. Could be a couple of "Groups of Death" if the right teams all end up in one group or 2. The Cheat is on now. So no more Brit teams for our group. Good, I wanted to face ManU. I want us to play ManU too, I want to see what they are made of. Maybe humble Pogba too. Mostly because I hate Jose. Our star striker with the next award as they show his bicycle kick against us. He is not in attendance as he is busy training with his new club. There's absolutely NO reason Juve shouldn't qualify for the R16 and even win their group. gumbacicc and calabrese8 repped this. The final schedule with dates and times will be released in a couple hours. Yeah seems like there are atleast 3 harder groups. so are Napoli going to use the "going for the scudetto" excuse when they get bounced in the group stage again? Best CL draw I’ve seen. We are in one of the harder groups. Valencia will be no cakewalk on the road. ManU will be tough too as Mou will play very defensively.